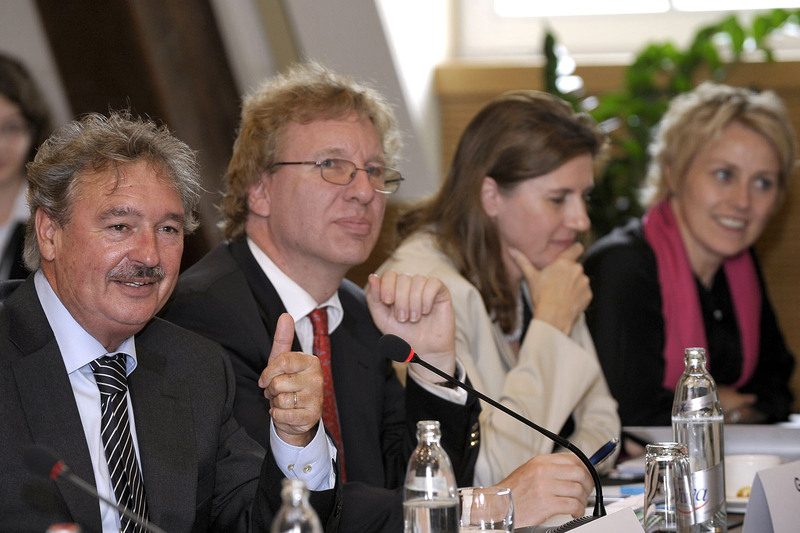 Speaking at our first meeting to be held in Luxembourg, on the topic ‘Reforming international governance?’, Foreign Minister Jean Asselborn argued the case for multilateralism and gradual reform of international institutions. There is broad agreement that challenges of globalisation require changes in global governance. The recent global economic crisis brought the G20 to prominence in international economic cooperation and reflects a rebalancing of the global political order. Yet the G20’s legitimacy, as an informal grouping, is also questioned. Speaking on the final day of the conference, Luxembourg’s Deputy Prime Minister and Foreign Minister, Jean Asselborn, argued that the UN remains at the core of the multilateral system, and combines the knowledge and legitimacy required to play the leading role in defining urgent and collective responses to contemporary global challenges. At the same time, it should not shy away from the reforms necessary to improve the effectiveness of the multilateral system. Luxembourg’s Minister of Development Cooperation and Humanitarian Affairs, Marie-Josée Jacobs, also took part in the conference, speaking about how the global economic framework and institutions can better deliver development. Minister of Finance, Luc Frieden, opened the conference. Participants included senior diplomatic representatives from the USA, Singapore, Zambia, Mexico, Kenya, Dominica, France, Germany and the UK, former Deputy Secretary-General of the UN, Louise Frechette, academics from India and China, and international non-governmental organisations such as the International Trade Union Confederation. Conference on Reforming international governance? Presentation notes of Marie-Josée Jacobs, Luxembourg’s Minister of Development Cooperation and Humanitarian Affairs (in French).